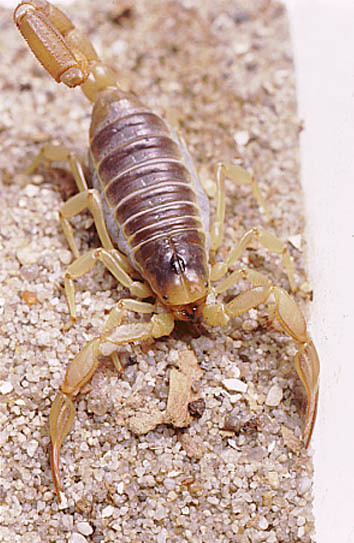 This family was established recently in Soleglad & Fet's major revision of higher scorpion systematics. Members of this family are found in North and South America (Bolivia, Chile, Ecuador, Galapagos Islands, Mexico, Per, USA), and they were previsouly included in the family Iuridae. Caraboctonidae currently has four genera and and 32 species [Updated 15.06.16]. Some species in this family (e.g. the long-lived and easy kept Hadrurus arizonensis) are kept in captivity. 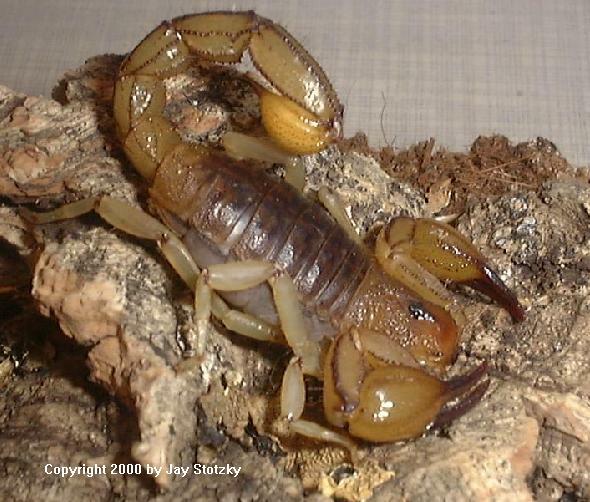 The scorpions in this family are not considered medical significant, but sting might be painful. Genus Hoffmannihadrurus Fet & Soleglad, 2004 has been synonymized with Hadrurus by Fracke & Prendini, 2008, but has been reinstated again by Fet & Soleglad, 2008.